Three interior slip pockets. Stretch overflow helmet storage. Four-point compression straps adjust to the size of your load. Antidote reservoir: Low-profile 100 oz. bladder. Quick Link system. 1/4 turn cap. Lightweight fillport. Dryer arms. Big Bite Valve. HydroGuard PureFlow tube. Wide-mouth opening. Specifications: Total capacity: 671 in / 11L + 3L reservoir. Total weight: 1.7 lbs. Harness: Independent Suspension and Slider sternum strap. Fabric: 70D Diamond Clarus & 420 Nylon with DWR + 1000 mm PU Imported. The women’s specific narrow-gauge pack for 3+ hours of all-terrain action in any weather condition. Designed for women: Shorter torso length S-curved shoulder harness for more comfortable carry harness hardware moved to base of pack to reduce potential friction points Velvetex harness lining for added comfort next to bare skin fully adjustable sternum strap for added stability. Quick Link System 1/4 turn – easy open/close cap lightweight fillport dryer arms center baffling and low-profile design patented Big Bite Valve HydroGuard technology PureFlow tube easy-to-clean wide-mouth opening. Media pocket bike tool organizer pocket four point compression stretch overflow helmet storage. 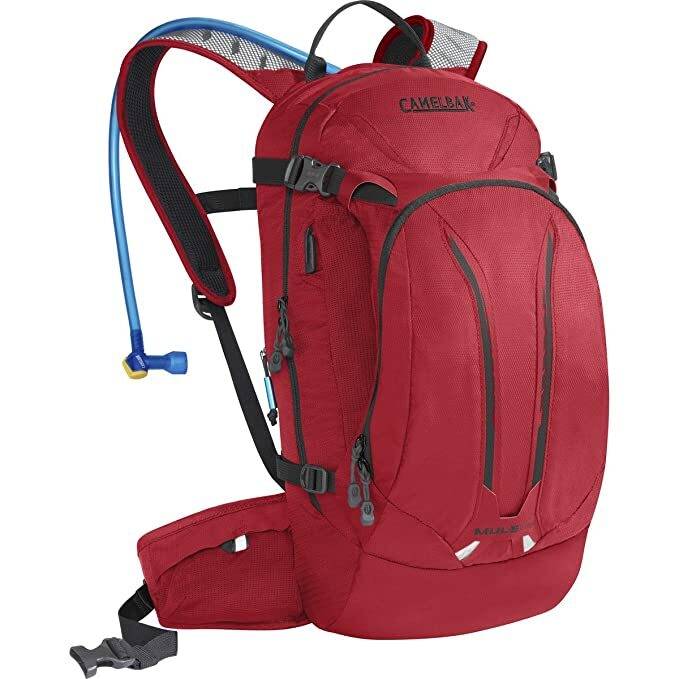 Hydration Capacity: 100 oz / 3 L. Dimensions: 17.5 x 8 x 9 in. Fabric: 70 / 140D Dobby with DWR + 1000mm PU. Like all of our Octane series packs, the Octane 18X is made of ultra-light materials perfect for adventure racing, trail running or XC bike riding – anything where you need to move fast and minimize weight. Features a vertical zipper that opens to expand your cargo volume or zips up tight for a snug, low profile. Plus you get two additional stretch pockets on the front and two stash pockets on the waist belt and harness to keep your essentials always close at hand. For safety we’ve added reflectivity front and back and a whistle on the harness. The Arete 22 is a transformer-it’s a sleek, ultralight pack designed for peak bagging, minimalist adventures and traveling. 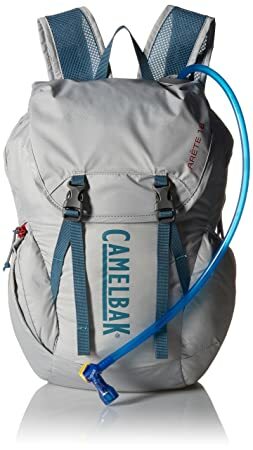 The Arete 22 is lightweight and reversible, with the ability to transform into a reservoir sleeve that keeps your water supply insulated and secure within a larger pack. When you reach basecamp, just flip the Arete inside out and you’ve got an ultralight pack for day hikes and summit scrambles. The Arete 22 has ample room for hiking essentials like a headlamp, warm layers, food and a trail map. It also features a 2-liter Antidote reservoir, an adjustable sternum strap, and a removable stability belt for a close, comfortable fit. 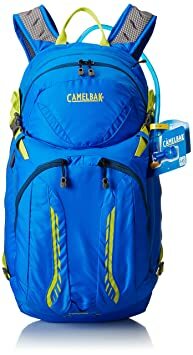 CamelBak also added zippered compartments on the lid and the side of the pack, so you can keep your gear sorted more easily. 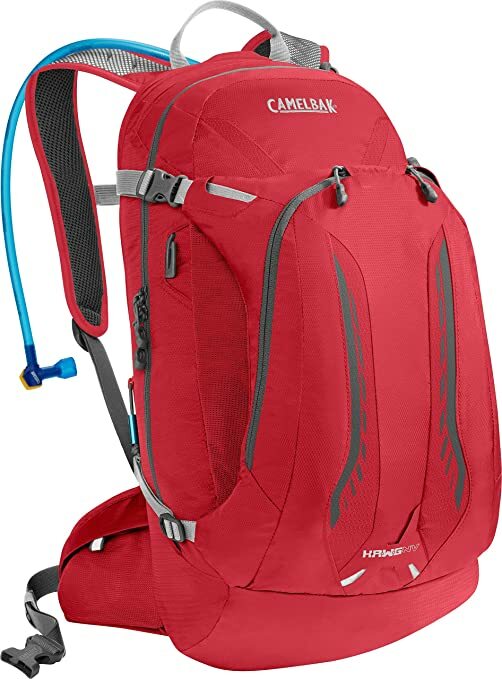 With its lightweight materials and reversible, double-duty design, the Arete 18 is one of the most versatile packs CamelBak makes-perfect for summit hikes, backpacking trips and travel. When you’re not wearing it, it transforms into an insulated reservoir sleeve-ideal for holding your water supply steady inside a larger pack. Ready for a quick hike? Just flip it inside out, and you’ve got room for snacks, layers, essentials, and 1.5 liters of water. Its lightweight materials and packable design also make it an excellent travel bag that won’t add bulk to your luggage. 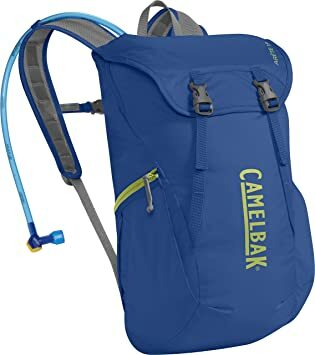 CamelBak updated this version of the Arete with additional pockets to keep your gear organized, along with a sternum strap and a lightweight back panel to give the bag a structured, comfortable fit. The convenience of external fill in a sleek bike pack. The 2L Antidote reservoir can be refilled on the fly via the quick-release flap on the front of the pack. Two external pockets for small items like keys, wallet, phone or storage for a shed layer. Stretch elastic side panels provide for expansion; twin compression straps shrink pack down when empty. Reflective back strip with tab to click on a blinker for early morning and evening safety. All of our Octane series packs are made from ultra-light materials so they’re good for adventure racing, trail running or XC bike riding – anything where you need to move fast and minimize weight. The Octane XCT takes this approach to extremes by stripping the pack down to the basics. Inside you’ll find our 3 liter Antidote Reservoir, which drops in behind the back panel. Outside we’ve added a single vertical zip storage pocket on the front and two stash pockets on the waist belt and harness so you can keep essentials close at hand. For safety we’ve added reflectivity front and back and a whistle on the harness. 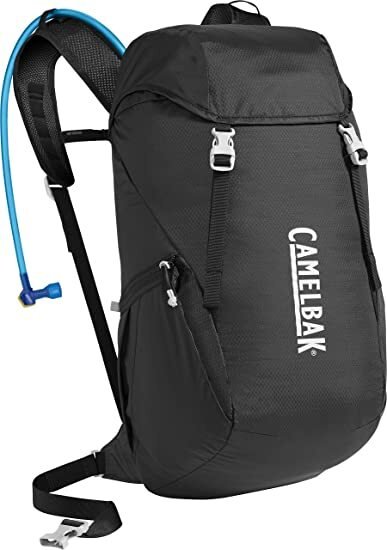 All CamelBak packs are designed to take a beating, but none more than the K.U.D.U. The narrow-gauge counterpart to the K.U.D.U. 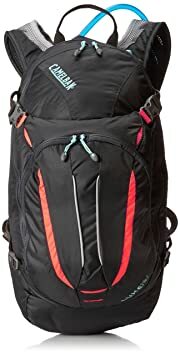 18, this pack is built for the enduro racer looking for a lightweight combination of hydration, protection and cargo. The flexible back protector panel absorbs over 94 of impact in a crash and is designed to handle multiple blows. The Impact Protector is made of flexible, lightweight foam that moves with your body, so you’ll get the protection you need without feeling like a tank. And the wider waist belt and dual sternum straps keep the pack positioned securely. With 3 liters of hydration and room for stowing body armor and a full face helmet, the KUDU can go the distance between far-flung stages in an enduro race. If the weather turns, an integrated rain cover pops up to shield your gear, and there’s a secure half-shell helmet carry for aggressive descents while wearing your full face. The pack also features a bike tool organizer roll that fits into a cargo space, so you can easily grab your tools and get to work. 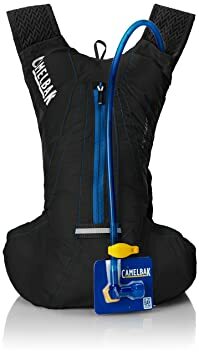 The lightest CamelBak running vest still carries enough supplies to bonk-proof your long run. The Circuit holds 1.5 liters of water, with two pockets for storing extra water bottles in the front. All of your essentials are close at hand: a sweat-proof pocket holds your phone, card and keys, and a smaller compartment stretches to store gels or snacks. 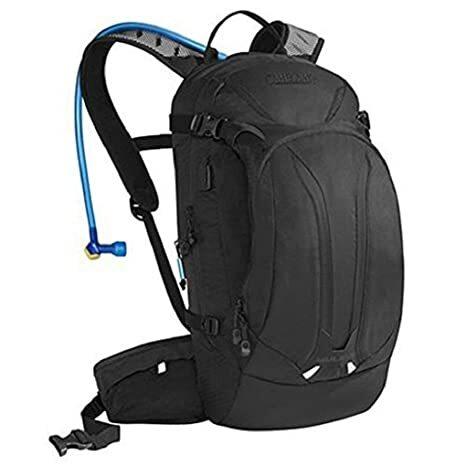 The dual sternum straps provide a snug, adjustable fit, and the external-fill design lets you top off your water supply without taking the reservoir out of your pack-a crucial timesaver on the trail. On sweltering days, try filling the reservoir with ice-not only will you have cold water to sip, but the mesh back panels let the reservoir cool your core as you run. The reservoir compression also makes it easy to cinch everything down for a slosh-free run.